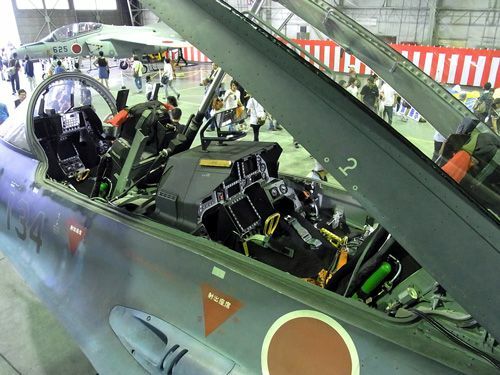 Japanese F-2 support fighter using J / APG-1 AESA radar, as the first practical airborne AESA radar, to promote its domestic data generally it has 800 T / R modules , as well as the early models of the low altitude Small Target only look 35NM known, in fact, whether it is propaganda so bear it? It seems from Chinese source that the stated 800 T/R modules on the J/APG-1 AESA has been purposely understated as the actual T/R module is more likely to be 1216. Defense Agency Technology Development Division in 2011 to promote its PDF, practical time and development J 6W GaN T / R modules / APG-2 radar basically consistent. The same Chinese source also claim that the J / APG-2 radar uses 6W GaN components which is likely to exceed the US AN / APG- capacity 79 AESA radar. A Japanese source also claim that the T/R modules of US AN / APG 79 has been understated at 1100 but in actual fact is 1368. Japan already has bought Raytheon AIM-120 Amraams, so why is it spending ¥36 billion ($468 million) to upgrade about 60 F-2 fighters with the Mitsubishi Electric Corp. AAM-4B missile? 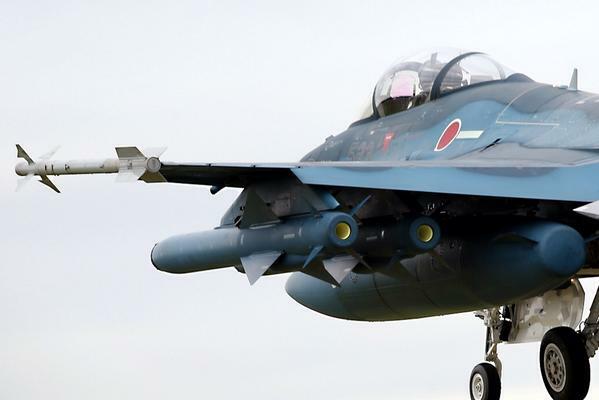 Although the benefits to Japanese industry are obvious, details of the upgrade and the missile itself suggest that the program is giving an enormous boost to the Mitsubishi Heavy Industries fighter’s ability to counter enemy aircraft. The weapon has at least one advanced feature that other such missiles lack: a seeker with an active, electronically scanned array (AESA) radar. 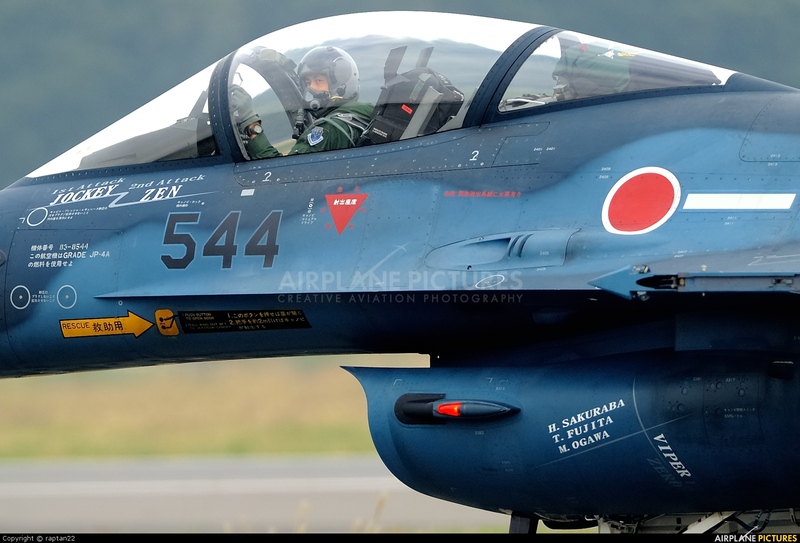 The F-2 support fighter aircraft is a multi role single engine fighter aircraft principally designed for the Japan Air Self Defence Force (JASDF), the result of a joint Japan and USA development programme. Mitsubishi Heavy Industries (MHI) is the prime contractor and Lockheed Martin Aeronautics Company serves as the principal US subcontractor. The F-2A is the single-seat version and F-2B is the two-seat version. 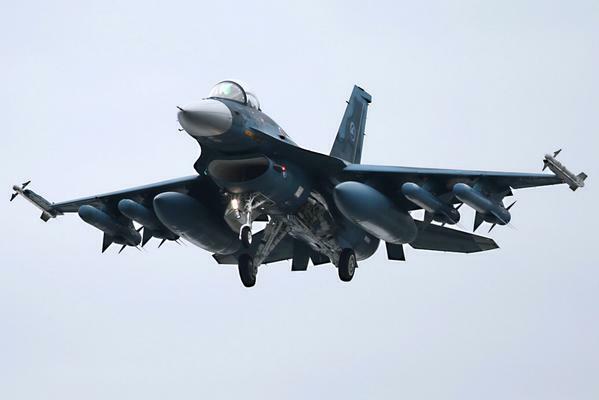 The Japanese Defence Agency originally planned to procure a total of 130 F-2 aircraft (83 single-seat and 47 two-seat aircraft) with deliveries to beyond 2010, but, in early 2007, this number was reduced to 94. The initial order was for 81 aircraft. A further five were ordered in March 2007 in a $150m contract. MHI awarded a further $250m contract to Lockheed Martin in April 2008 to manufacture components for eight more F-2 aircraft. The contract was the 12th annual contract awarded by MHI to Lockheed Martin. The F-2 has three display screens, including a liquid crystal display from Yokogawa. longer and wider nose to accommodate a J/APG-1/J/APG-2 active electronically scanned array (AESA) radar. The F-2 was the first operational military aircraft in the world to feature an AESA radar, before the F-22 Raptor’s AN/APG-77 AESA radar. In 1987, the JASDF selected a variant of the F-16C as the Japanese FS-X aircraft to replace the Mitsubishi F-1 aircraft, and in 1988 Mitsubishi was selected as prime contractor for the aircraft, which became known as the F-2. The programme involved technology transfer from the USA to Japan, and responsibility for cost sharing was split 60% by Japan and 40% by USA. Four flying prototypes were developed, along with two static prototypes for static testing and for fatigue tests. Flight trials of the prototypes were successfully completed by 1997, and the aircraft entered production in 1998. The first production aircraft was delivered to the Japanese Defence Agency in by March 2005 61 F-2 fighters had been delivered. The aircraft are being assembled at Mitsubishi’s Komaki South Plant in Nagoya. MHI expects to complete deliveries of 76 aircraft in the near future. 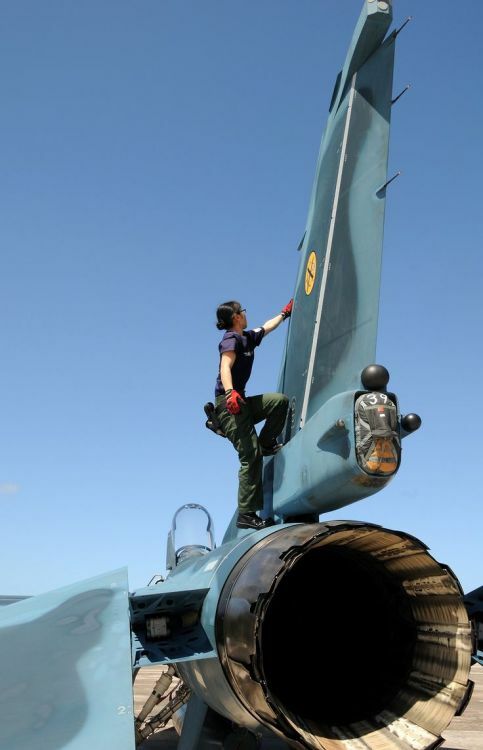 In June 2007, the F-2 made its first overseas deployment to Andersen AFB in Guam for joint US / Japan exercises. The F-2 dropped live weapons for the first time during the exercises. 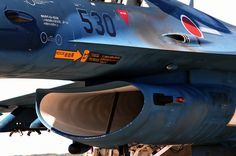 JASDF is investing in extensive fighter aircraft upgrades, including modifying eight units of its F-15 fleet and improving air-to-air combat capabilities of its F-2s. Aboulafia described the upgrades to the legacy fleets as impressive, but being conducted at a slow pace and in small numbers. While the JASDF has effectively procured enabler aircraft, particularly for airborne early warning, it could use a few more tankers as the military extends its operating radius in the Pacific. The steady F-15 and F-2 upgrades cannot continue forever, he said, and tough decisions need to be taken over the next 10 years. Retirements of the F-2, which is commonly regarded as a somewhat costly indigenous industry make-work program, will likely begin in the late 2020s, as will the F-15s, which are durable, but also older. 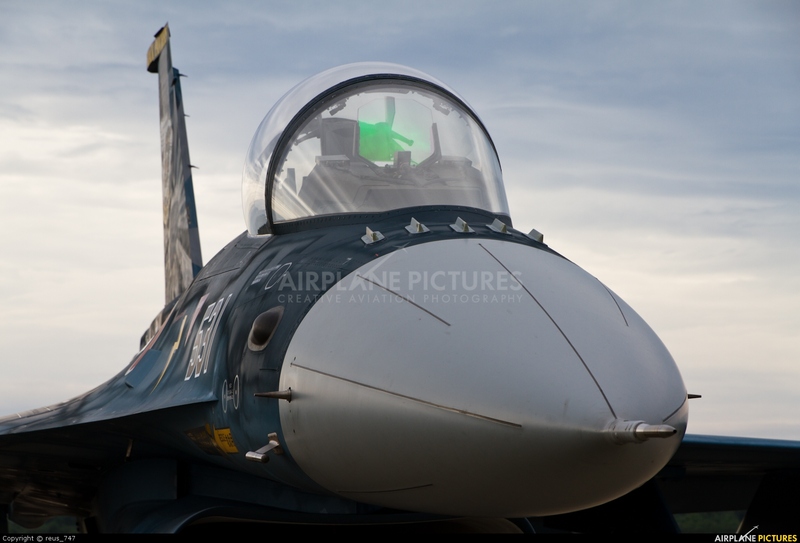 “Thus, the JASDF could face a severe force structure crunch in the next decade,” Aboulafia said. A Japan-based military analyst agreed that tough decisions need to be taken in about a decade for the F-2, but probably not for the F-15. 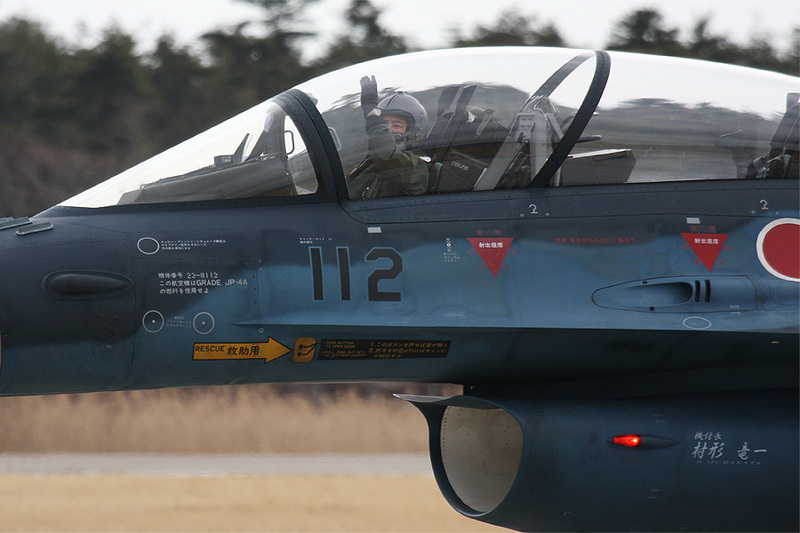 “The F-2 is a terrible aircraft, just ask the JASDF,” the analyst said. “It needs to be mothballed and the money being spent on it moved over to F-15. But there is no replacement for F-15. The F-22 would have been that replacement [and would have meant Japan would not have bought the F-35]. Japan will want a high level of local industry participation and that, coupled with the JASDF procurement crunch, almost guarantees further F-35 procurement in the 2020s, Aboulafia said. “In any other country, the F-35’s high price tag would mean a serious problem replacing older, less expensive planes, but Japan has always paid a very high price for its fighters. The F-35 won’t be that different from the F-15 and F-2 in terms of costs, Aboulafia said. The Japanese Type 80 ASM-1 Missile is designed primarily as an air-launched coastal defense weapon. In practice it could be used against a variety of surface targets, including ships, truck convoys, light armored vehicles, buildings and bridges. With the addition of a solid-fuel booster stage, this missile is also used as part of the ground-launched SSM-1 system. Based on the Type-80 Air-to-Ship Missile, various anti-ship systems including Type-88 SSM (Surface-to-Ship Missile), Type-90 SSM (Ship-to-Ship Missile), Type-91 and 93 ASMs (Air-to-Ship Missile) have been developed. These systems comprise the Japanese anti-ship missile family and are deployed in the Ground, Maritime, and Air Self Defense Forces. Based on the Type-80 Air-to-Ship Missile, various anti-ship systems including Type-88 SSM (Surface-to-Ship Missile), Type-90 SSM (Ship-to-Ship Missile), Type-91 and 93 ASMs (Air-to-Ship Missile) have been developed. These systems comprise the Japanese anti-ship missile family and are deployed in the Ground, Maritime, and Air Self Defense Forces. 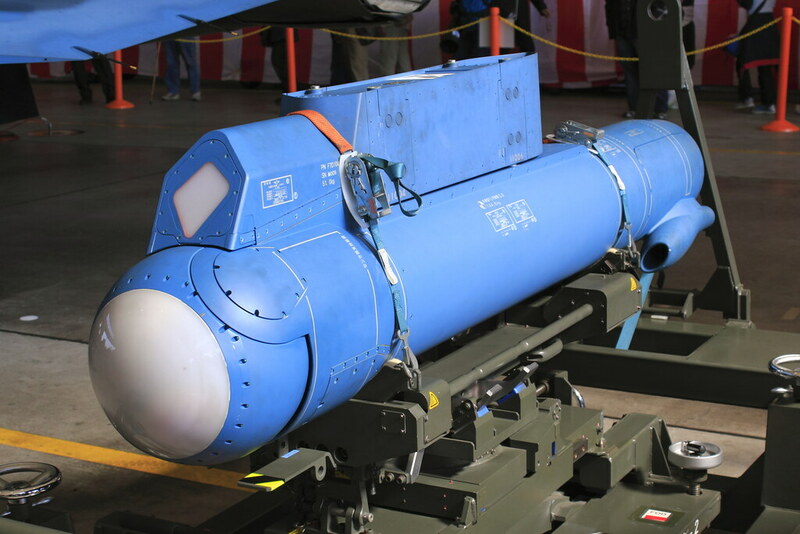 Compared to the previous Type-80 ASM-1 anti-shipping missile, the Type 93 features a turbojet engine providing twice the range of the Type-80’s solid rocket, and improved accuracy through infrared imaging terminal homing system developed by Fujitsu . Because XASM 3 attacks ships carrying high-performance anti-aircraft firearms, it flying at more than three times the speed of sound . ASM 1 and ASM 2 of the existing air-to-ship missiles were subsonic and could be shot down by ship-to-air missiles and machine guns. It is planned to repeat prototyping and testing over a total of 325 billion yen, to finish development by fiscal 2006 and shift to mass production. There are supersonic air-to-ship missiles in the United States and Russia, but both are huge and are mounted on bombers. The SDF who can not possess ‘aggressive weapons’ from constraints of Article 9 of the Constitution can not possess long-range bombers, so they are looking for miniaturization of missiles. 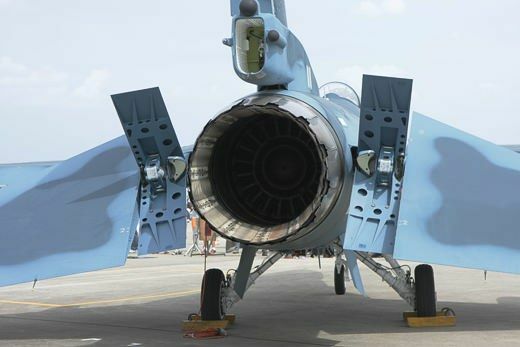 We have developed XASM 3 with a total length of 6 meters and weight of 900 kilos that we can install in fighter planes. Meanwhile, the Chinese Navy, which is supposed to aim for the construction of aircraft carriers by the 15th year, has purchased four Sovereignay class destroyers already capable of anti-aircraft / anti-ship capability from Russia, and furthermore domestically devastated similar to Aegis warship with high air defense capability I commissioned the ship’s “Lanzhou” “Haikou”. Although XASM 3 will compete against these destroyers shielding the aircraft carriers, the Ministry of Defense says “we do not assume any particular country”. China ‘s warship to promote the strengthening of the navy capability has advanced through the ocean waters to the Pacific Ocean, and the tensions between the Maritime Self – Defense Force are increasing. Through the development of XASM 3, the Air Self Defense Force will participate in the East China Sea and the Pacific “hegemonic war”. The feature of XASM 3 is that it adopts a composite guidance system that detects radar waves from enemy ships and flies by flying radar waves themselves in order to increase accuracy. The propulsion unit is equipped with integral rocket ramjet (IRR) which combines a rocket and a jet. July 17, 2017 07 From next year, the government has decided to introduce the new type of air-to-ship missile under development to the Air Self Defense Force’s F 2 fighter aircraft. The procurement cost of several hundred million yen is posted in the estimate request for FY 2018, and the mass production system is entered. It is the first supersonic speed as a domestic air-to-ship missile, which is characterized by being difficult to intercept. There is an aim to check the Chinese Navy where the aggressive activities are prominent in the East China Sea. Yesterday’s picture show Shirane in Mojiko port with a gray tarp to cover the impact zone of the anti-ship missile on its flank (starboard side). The first pictures to show decommissioned Destroyer of the JMSDF, DDH-143 Shirane (first ship of the class), prepared as a “target ship” (with reflectors in place) with markings painted on its flank emerged in March this year. slightly altered Leading-Edge Root Extensions (LERX). longer and wider nose to accommodate a J/APG-1/J/APG-2 active electronically scanned array (AESA) radar. 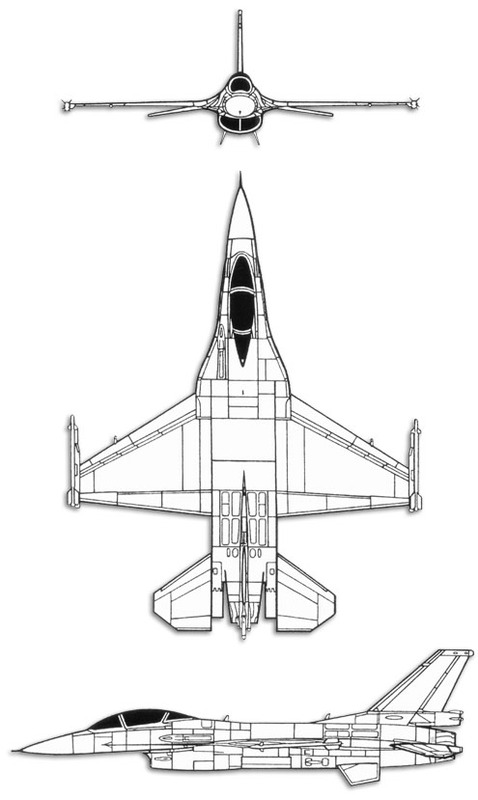 Overall, the FS-X is substantially larger than the F-16, resulting in a maximum take-off weight of 49,000lb, compared to the F-16C’s 42,000lb, although both are powered by the same 129kN (29,000lb)-thrust General Electric F110-129 turbofan engine. Other FSX structural-design changes include radar-absorbent material (RAM) applied to the aircraft’s nose, wing leading-edges and engine inlet, the use of titanium in the tail and fuselage, the addition of a braking parachute and a two-piece canopy reinforced against large bird strikes. Kawasaki is responsible for the construction of the midsection of the fuselage, and also the doors to the main wheel and the engine. Mitsubishi builds the forward section of the fuselage and the wings. Mitsubishi has also designed the lower-wing box structure, which includes lower skin, spars, ribs and cap, and is made from graphite-epoxy composite and co-cured together in an autoclave. This is the first application of co-cured technology to a production tactical fighter. Fuji manufactures the upper-wing surface skin, the wing fairings, the radome, flaperons and the engine air-intake units and the tail section. Lockheed Martin Aeronautics Company supplies the rear section of the fuselage, the port-side wing boxes and the leading-edge flaps. The cockpit is equipped with three multifunction displays, including a liquid crystal display from Yokogawa. The pilot’s head-up display was developed by Shimadzu. The aircraft’s integrated electronic warfare system, mission computer and active phased array radar were developed by Mitsubishi Electric. An M61A1 Vulcan 20mm multi-barrel gun is installed in the wing root of the port wing. There are 13 hardpoints for carrying weapon systems and stores: one on the fuselage centreline, one on each wing-tip and five under each wing. The stores management system is supplied by Lockheed Martin. Sniper pods provide improved long-range target detection/identification and continuous stabilized surveillance for all missions, including close air support of ground forces. The Sniper pod enables aircrews to detect and identify weapon caches and individuals carrying armaments, all outside jet noise ranges. Superior imagery, a video datalink and J-series-weapons-quality coordinates provided by the Sniper pod enable rapid target decisions and keep aircrews out of threat ranges. High resolution imagery for non-traditional intelligence, surveillance and reconnaissance (NTISR) enables the Sniper pod to play a major role in Air Force operations in theater, providing top cover for ground forces, as well as increasing the safety of civilian populations. The Sniper pod is combat proven on U.S. Air Force and international F-15E, F-16 (all blocks), B-1, A-10C, Harrier GR7/9 and CF-18 aircraft. 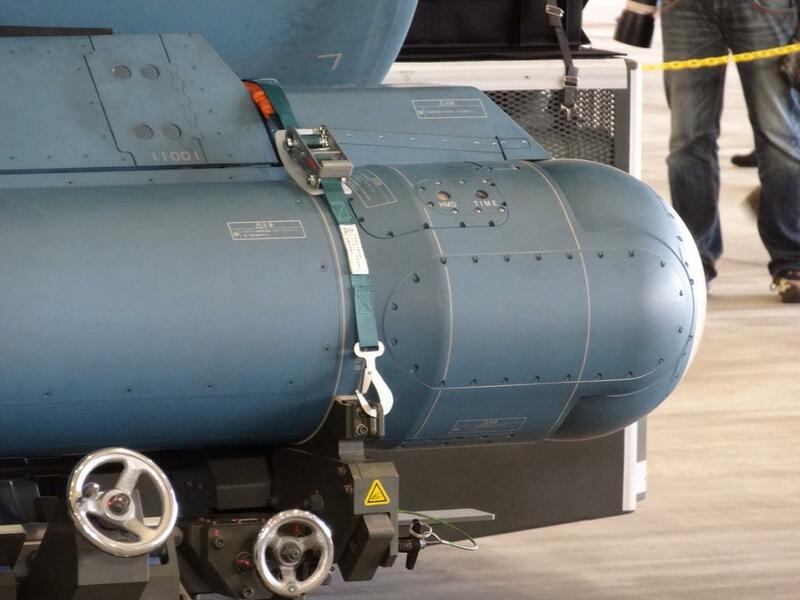 Lockheed Martin is also in the final stages of integrating the Sniper pod on the B-52. The pod’s plug-and-play capability facilitates moving the pod across platforms without changing software. Sniper pods include a high definition mid-wave forward looking infrared (FLIR), dual-mode laser, HDTV, laser spot tracker, laser marker, video data link, and a digital data recorder. Advanced image processing algorithms, combined with rock steady stabilization techniques, provide cutting-edge performance. 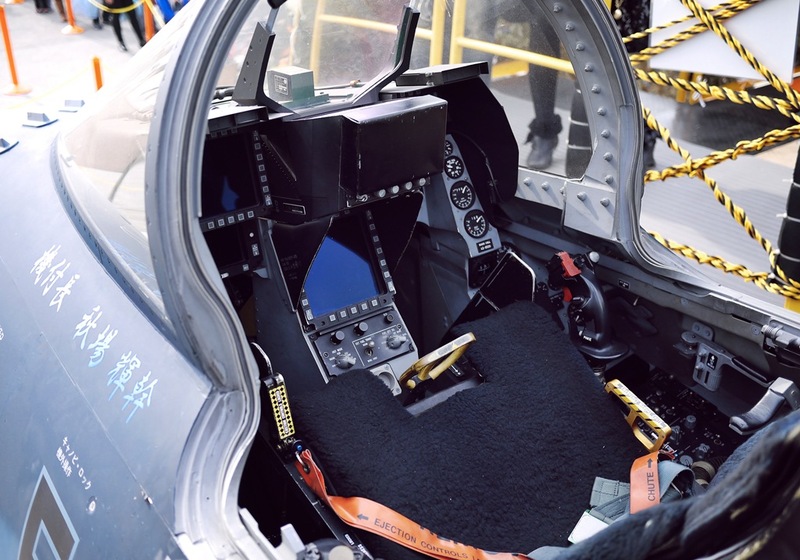 The pod features automatic tracking and laser designation of tactical size targets via real-time imagery presented on cockpit displays. The Sniper pod is fully compatible with the latest J-series munitions for precision weapons delivery against multiple moving and fixed targets. Advanced Targeting Pod – Sensor Enhancement (ATP-SE) design upgrades include enhanced sensors, advanced processors, and automated NTISR modes. The Sniper pod’s architecture and modular design permits true two-level maintenance, eliminating costly intermediate-level support. Automated built-in test permits flightline maintainers to isolate and replace an LRU in under 20 minutes. Spares are ordered through a user-friendly website offering in-transit visibility to parts shipment. 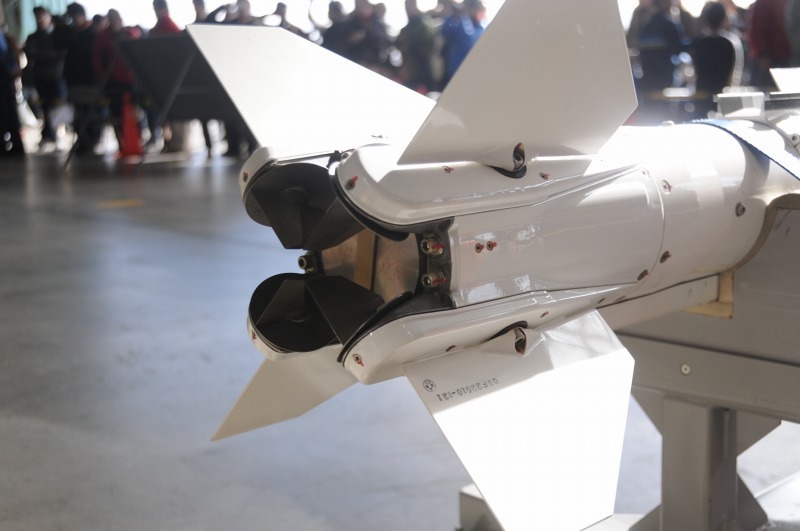 The Sniper pod’s modular design also offers an affordable road map for modernizing and enhancing precision targeting capabilities for U.S. Air Force and coalition partner aircraft. The multiple-barrels cannon offers both advantages in firing rate and in barrel life. As the 6 barrels revolve, they proceed through the different stages of the gun firing cycle. Each barrel is fired as it passes through the top position, after which the spent case is extracted and ejected, and a new round is fed and chambered – all at different positions on the circle described by the revolving barrel. This means that the firing rate is multiplied by the number of barrels, as six barrels are being loaded in parallel. Furthermore, since each barrel is only fired at 1/6th of the total firing rate, barrel wear and tear is not increased. Major drawback is that ammunition is consumed at a vast rate, requiring large ammo magazines. Most members of the M61A1 family are driven by the aircraft’s hydraulic system, or (exceptionally) by the electrical power system. 35hp is needed to drive the gun at full firing rate, and barrels rotate anticlockwise when viewed in the direction of firing. The stationary breech housing has a deep elliptical slot in its inner wall in which run 6 cam followers, on the breech of each barrel. The followers are driven linearly in and out of the associated breech, successively chambering, firing and extracting the rounds. The breech rotor, to which are attached the 6 barrels, revolves inside the breech housing. There are two Frazer Nash common rail launchers manufactured by Nippi. The aircraft is capable of deploying the Raytheon AIM-7F/M medium-range Sparrow air-to-air missile, the Raytheon AIM-9L short-range Sidewinder and the Mitsubishi Heavy Industries AAM-3 short-range air-to-air missile. The AIM-7 Sparrow is a radar-guided, air-to-air missile with a high-explosive warhead. The versatile Sparrow has all-weather, all-altitude operational capability and can attack high-performance aircraft and missiles from any direction. 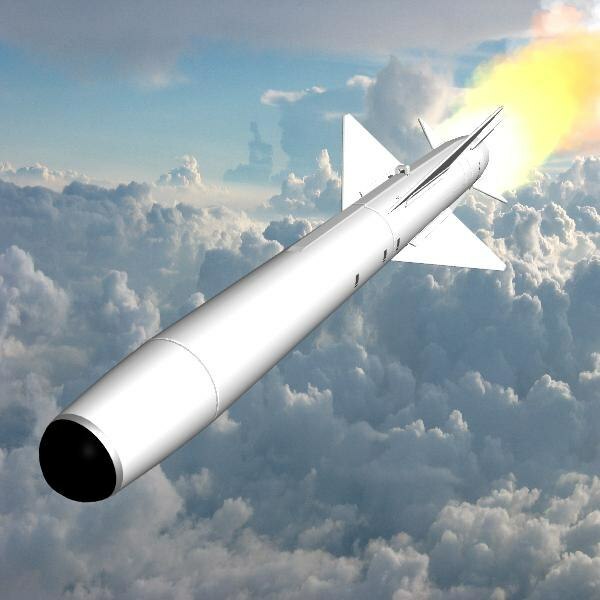 The AIM/RIM-7 series is a semiactive, air-to-air, boost-glide missile, designed to be either rail or ejection launched. 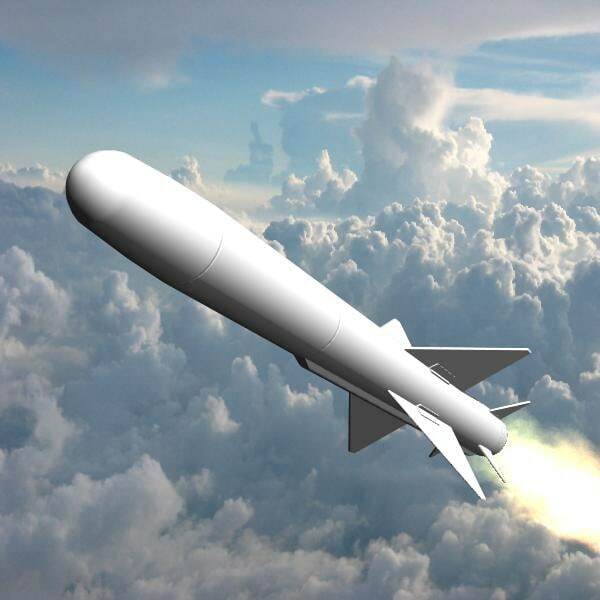 Semiactive, continuous wave, homing radar, and hydraulically-operated control surfaces direct and stabilize the missile on a proportional navigational course to the target. Propulsion for the missile is provided by a solid propellant rocket motor. Guidance Section. The Guidance Section is a solid-state design. The Guidance Section is constructed modularly and includes a radome, tunnel cable to the control section, forward antenna, target and rear receivers, an embedded Missile Borne Computer (MBC), a radar fuze unit, and electric gimbaled motors. Control Section. The control section consists of an autopilot and a hydraulic control group which provide wing control to guide the missile to the target and to stabilize the missile. An accumulator supplies the hydraulic power to move the wings in response to guidance command signals from the autopilot. In addition to circuits for processing guidance and stabilization signals, the control section also contains an AC/DC converter for adapting external power for missile requirements before launch. The Sparrow missile is a supersonic, medium-range, aerial-intercept missile that guides on Radio Frequency (RF) energy. Sparrow incorporates Electronic Counter-Countermeasure (ECCM) capabilities, also known as Electronic Protection (EP), to defeat countermeasures such as jamming. The Sparrow began as project Hotshot in 1946, and became operational in late 1953. Experience during the Vietnam war demonstrated it to be virtually useless against manuvering targets. A special AIM-7E-2 dogfight version was produced to overcome these shortcomings. Current configurations of the Sparrow missile include four air-launched variants, AIM-7M F1 Build, AIM-7M H Build, AIM-7P Block I, and AIM-7P Block II, and as many ship-launched variants, RIM-7M F1 Build, RIM-7M H Build, RIM-7P Block I, and RIM-7P Block II. The AIM-7F joined the Air Force inventory in 1976 as the primary medium-range, air-to-air missile for the F-15 Eagle. The AIM-7F was an almost completely new missile, gaining ability from improved avionics that allowed the warhead to be moved to the front, allowing a bigger motor to be carried that has improved range. The AIM-7M, the only current operational version, entered service in 1982. It has improved reliability and performance over earlier models at low altitudes and in electronic countermeasures environments. It also has a significantly more lethal warhead. The latest software version of the AIM-7M is the H-Build, which has been produced since 1987 and incorporates additional improvements in guidance. AIM/RIM-7M DT and OT was successfully completed in FY82. The F-15 Eagle and F-16 Fighting Falcon fighters carry the AIM-7M Sparrow. The AIM-9 Sidewinder is a supersonic, heat-seeking, air-to-air missile carried by fighter aircraft. It has a high-explosive warhead and an active infrared guidance system. The Sidewinder was developed by the US Navy for fleet air defense and was adapted by the U.S. Air Force for fighter aircraft use. Early versions of the missile were extensively used in the Southeast Asian conflict. The missile’s main components are an infrared homing guidance section, an active optical target detector, a high-explosive warhead, and a rocket motor. The AIM-9L added a more powerful solid-propellant rocket motor as well as tracking maneuvering ability. 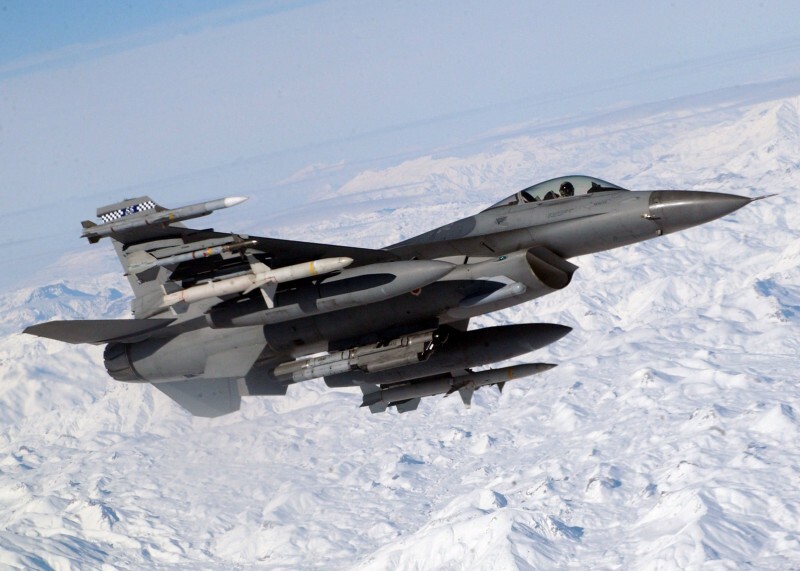 Improvements in heat sensor and control systems have provided the AIM-9L missile with an all-aspect attack capability and improved guidance characteristics. The L model was the first Sidewinder with the ability to attack from all angles, including head-on. An improved active optical fuze increased the missile’s lethality and resistance to electronic countermeasures. A conical scan seeker increased seeker sensitivity and improved tracking stability. The AIM-9L is configured with an annular blast fragmentation warhead. Production and delivery of the AIM-9L began in 1976. The F-2 is armed with the ASM-1 and ASM-2 anti-ship missiles. Mitsubishi started developing the Type 80 series anti-ship missiles, ASM-1 and ASM-2, in 1980, originally for the F-1 fighter. 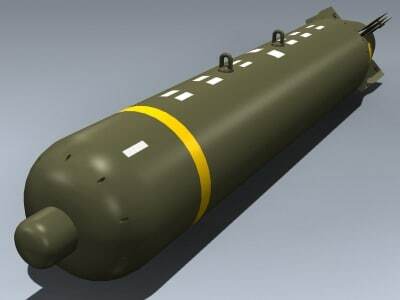 The fighter aircraft can also carry 500lb bombs, CBU-87/B cluster bombs and rocket launchers. The centreline and the inner-wing hardpoints can carry drop tanks with a 4,400kg fuel capacity. Lockheed Martin is responsible for the avionics systems. The aircraft’s digital fly-by-wire system has been developed by Japan Aviation Electric and Honeywell (formerly Allied Signal) under a joint development agreement. The fly-by-wire modes include control augmentation, static stabilisation and load control during manoeuvres. The communications systems fitted in the F-2 are the AN/ARC-164 transceiver, operating at UHF band and supplied by Raytheon, a V/UHF transceiver supplied by NEC, a Hazeltine information friend or foe interrogator, and an HF radio, developed and supplied by Kokusai Electric. It provides the DoD (Department of Defense) and NATO standard anti-jam UHF voice communications in support of modern military operations. 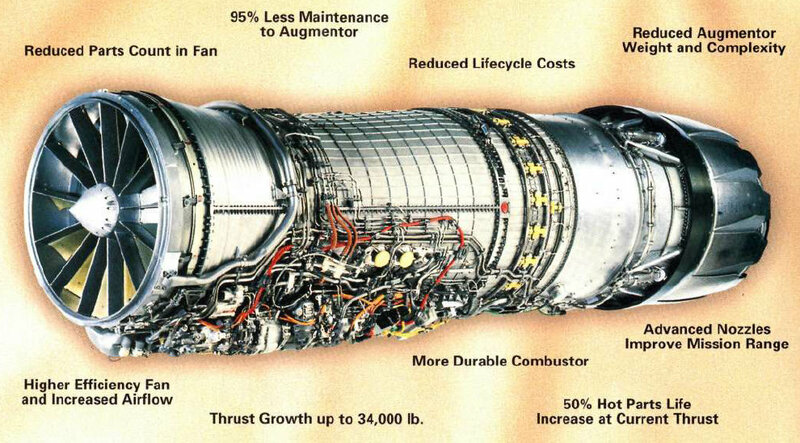 Raytheon has delivered more than 60,000 AN/ARC-164’s over two decades. The AN/ARC-164 provides effective, proven anti-jam UHF (Ultra High Frequency) voice communication in a rugged and reliable package that will be logistically supportable into the 21st century. It features 10 watts AM; 25 kHz (kilohertz) channel spacing; Have Quick II anti-jam communications; LOS (Line-Of-Sight) voice; over 2,000 hours demonstrated MTBF (Mean-Time-Between-Failures); and is COMSEC (Communication Security) compatible. The latest AN/ARC-164 radios feature Military Standard, MIL-STD-1553B interfaces; ANVIS Green A front panel lighting and an electronic fill port. The current AN/ARC-164 system is a F3 (Form, Fit, Function) replacement for older AN/ARC-164 systems and obsolete UHF radios such as the AN/ARC-51. The Mitsubishi AAM-4 is a medium range air-to-air missile, it was developed by Mitsubishi Heavy Industries to succeed the aging American-made AIM-7 Sparrow. It entered service with the Japanese Air Self Defence Force in the year 1999 under the designation Type 99. The active radar guided air-to-air missile has ECCM (Electronic Counter Countermeasure) capability, which allows it to lock on a target, even if this uses ECM, this capability results of the use of advanced semi conductor technology, which made it possible to mount a single signal processor on a small place in the missile. The program for a new medium range missile for the Japanese Air Self Defence Force started in the year 1985, while Japan searched for a replacement for the aging AIM-7 Sparrow missile. Japan had two options, the first was developing their own low-cost, active-radar guided, medium range air-to-air missile and the second was to purchase the American AIM-120 AMRAAM; Japan decided to do both. In the year 1993 Mitsubishi Heavy Industries awarded a 15 million USD contract to develop such a missile. While the Technical Research and Development Institute (TRDI) managed the program, Mitsubishi Heavy Industries designed and developed the missile. Development finally started in the year 1993 and 50 missiles were ordered by then. The Mitsubishi AAM-5 (Type 04 air-to-air missile, 04式空対空誘導弾) is a short-range air-to-air missile developed and produced by Mitsubishi Heavy Industries for the Japan Air Self-Defense Force. Development of the missile as a replacement for the AAM-3 (Type 90) missile commenced in 1991 and it has been operational since 2004. Unlike the Type 90 guided missile, the AAM-5 does not have a cannode. Instead, flight is controlled by a thrust vector controlled rocket motor and free-moving type control wings on the missile’s tail, which provides high mobility. The central portion of the missile has a long, thin strakes. Improved with enhanced background discrimination capability and capacity IRCCM, and Seeker cooling time is extended by the adoption of the Stirling engine. 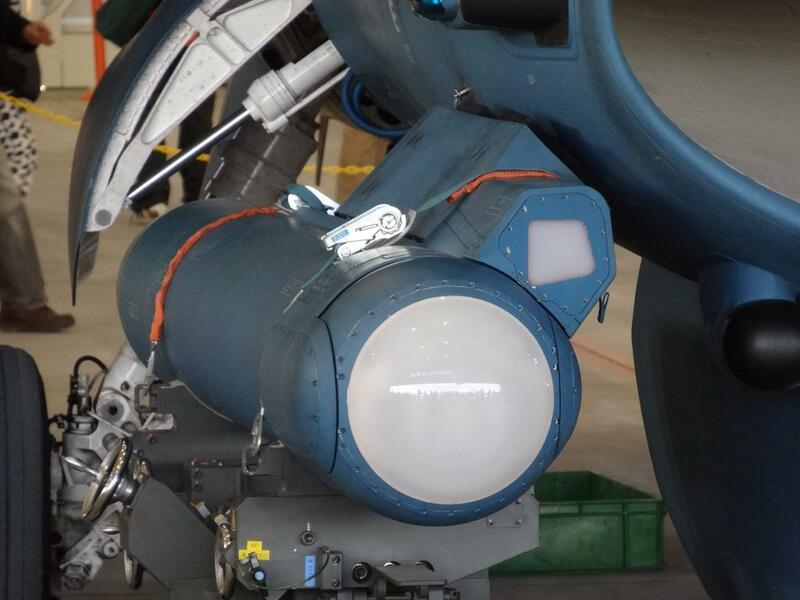 J / AAQ-2 is an infrared forward monitoring device Mitsubishi Electric has been developed for the F-2 (FLIR). J / AAQ-2 at night navigation for the system to be mounted in a pod form F-2, navigation function of the time of night or in bad weather , in addition to the identification and tracking functions of the air-to-air and air-to-ground targets , to follow the ground moving target of It has a function . 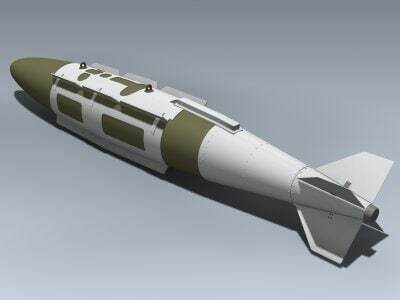 However, the functionality of the targeting pod ( English version ) is not expected to have [1 ] . Further , the turret portion is rotatable , and has a specification that the turret is to expose the one rotating sensor in use . land and to the sea target , it is possible detection identification and tracking visually and equal to or greater than the distance at the time of night and bad visibility . At the time of night of fine weather , it is possible visual equivalent of navigation during the daytime of fine weather . that in the time of bad visibility , it is possible to visually equivalent of navigation during the daytime of bad visibility . to have a distance measuring function for the automatic tracking function and ground fixed target for a single goal . mounted embodiment of the present system is based on the exterior . there is no significant decrease in flight performance of the aircraft by the mounting of the device , that flight characteristics are good . This entry was posted in Uncategorized on July 4, 2016 by nonothai.